Buy with Confidence! We want to make sure you are 100% satisfied with your purchase so we have made our return/exchange system very simple. We aim to build trust with our customers and create a long term relationship. Standing behind our product is a big part of that. All items are thoroughly inspected before being dispatched to ensure a high level of quality in the product you purchase from us. When you receive your order, please inspect package & product. Please power up and play merchandise. Be sure to save the packaging box, the shipping carton and packing material, in the unlikely event that you’ll need it for return shipment. We are committed to treating our customers fairly & know you’ll do the same for us! If you are not completely satisfied with your purchase, we will gladly exchange your product or give you a full refund within the first 30 days of your purchase (excluding shipping costs). You’ll just need to cover the postage to send it back to us. For exchanged items, we cannot provide free ground shipping in the U.S. (unless faulty) for a second shipment; a small shipping fee will apply. IMPORTANT: This return policy applies to purchases made directly from metimeaudio.com online store only. This policy does not apply to purchases made from 3rd party retailers. All returns or exchanges must be made through the retailer you originally purchased you product from. If you require a return or an exchange, please download and complete the Return & Exchange Form (click here to download) and include in your return shipment to us. Please also include the original receipt/invoice with the item you wish to return or exchange. This way we can reimburse your original purchase price to your original method of payment, or use it to help exchange your item. The merchandise returned will be inspected when it arrives at the warehouse and any missing items will not be credited. Returns not received in their original state will be automatically returned to the customer. MeTime Audio reserves the right to reject a return if we conclude it is not in new condition. Merchandise cannot be returned past the 30-day return period. Discontinued items are deemed FINAL SALE, in which case they are not eligible for refund, exchange, or store credit (unless faulty). Return & Exchange Form & receipt/invoice are included in return shipment. Merchandise must be received in original condition as it was when shipped: unused & undamaged – with ALL packaging, manuals, and all accessories such as: cables and straps included. The item is not discontinued. If a discount code or coupon code was used at the time of purchase, the discount amount that you originally paid will be refunded only (not the retail product price). We ask that you are responsible for return tracking information of shipment. International orders have a slightly different return process, when shipping your return, you are responsible for all shipping costs. Refunds that include duties, taxes and tariffs may vary by country and are the responsibility of the customer. The merchandise is mailed back within 40 days of the shipping date. Merchandise cannot be returned past the 40-day return period. The International Return & Exchange form and the receipt/invoice are included in return shipment. The merchandise is returned in the same condition as it was when shipped unused & undamaged, and received with the original packaging and all accessories such as: cables, straps and owner’s manuals. The merchandise returned will be inspected when it arrives at the warehouse and any missing items will not be credited. Items not received in their original state will be automatically returned to the customer. MeTime Audio reserves the right to reject a return if we conclude it is not in a new condition. Download & complete the International Return & Exchange Form (click here to download) and include the original receipt/invoice with the item you wish to return or exchange. This way we can reimburse your original purchase price to your original method of payment, or use it to help exchange your item. The refund amount excludes shipping charges. Above is our mailing address for returns & exchanges. MeTimeAudio.com proudly offers free ground shipping in the U.S. (excludes AK & HI). Free shipping will be applied automatically to all qualifying orders – no minimum purchase, coupons or promotion codes are required! Easy Peezy! For your convenience, we also offer express delivery for an additional charge, ensuring a guaranteed delivery date. During checkout, you’ll be prompted to select your preferred shipping method. Can you ship outside the US? Are there any other restrictions I should be aware of? We do not support shipping to P.O. Boxes. We do ship outside of the U.S., however the customer is responsible for shipping, duties, taxes and tariffs associated with their country. Do any restrictions apply to the free shipping offer? Free shipping offer is limited to standard ground shipping and is valid only in the 48 contiguous states of the United States. Free ground shipping is not available for shipments to Alaska and Hawaii, a flat shipping rate of $20 per order will apply. If order contains Preorder/Backorder & in stock items, in stock items will ship first and preorder/backorder items will ship when available. All in stock 2nd Day Air and Next Day Air orders placed before 2 pm CST usually will ship within the same business day. If your 2nd Day Air or Next Day Air order is placed after 2 pm CST, your order will be shipped next business day (excluding holidays). All in stock Ground Shipping orders will be shipped next business day (excluding holidays). All in stock orders submitted over the weekend will be processed the next business day, which is usually Monday. MeTimeAudio.com offers a flat rate of $35.00 for standard international shipping. International orders should arrive within 7-10 working days once payment has been received. Final prices do not include relevant overseas customs duties, foreign taxes or other fees which may be imposed and this will be the responsibility of the customer. Please check with your local customs office for further information. In our effort to minimize waste, lessen our impact on the environment & help reduce costs, please note that your order may arrive in a slightly used shipping box. Paying for your purchases is simple and safe. All payments are processed using PayPal. PayPal uses the strictest internet security available – MeTime Audio, LLC will never see your credit or debit card or bank details. You don’t even need a PayPal account. You can use an existing PayPal account OR just enter your credit or debit card details. Direct Debit is also available as a payment method. Once you checkout you will be issued our Bank Details in which you make payment too. Please note that bank transfers can take two days depending on which bank you are with, so please allow a couple of days for your parcel to be sent off. SunTunes™ carries a 1-Year Limited Warranty, excluding normal wear & tear. If you notice a manufactures defect in material or construction within 1 year of purchase, please reach out to us at info@metimeaudio.com and we will make it right! 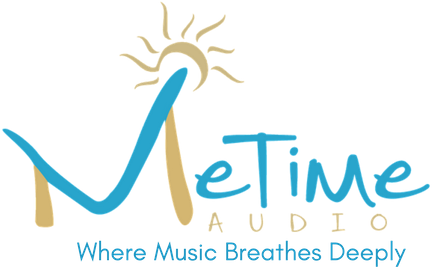 If you still have questions or concerns, please contact us directly at info@metimeaudio.com or visit our Let’s Talk page. For more detailed information or any other questions, please check out our FAQ page.